This week on the Truce Podcast we interview Brandon Kimber, director of the new film American Gospel. The film takes a deep dive into the world of the prosperity gospel, and what the gospel is in the first place. The film is 2.5 hours long, and covers a lot of ground. I recommend watching it in 2-3 chunks as a small group with discussion after each chunk. Interviews within the movie include Matt Chandler, Francis Chan, John MacArthur, Jackie Hill Perry, Costi Hinn and many others. There are many clips of famous prosperity teachers explicitly preaching in opposition to the Bible, including Benny Hinn, Joel Osteel, Victoria Osteen, Kenneth Copeland, and Bill Johnson of Bethel Church. 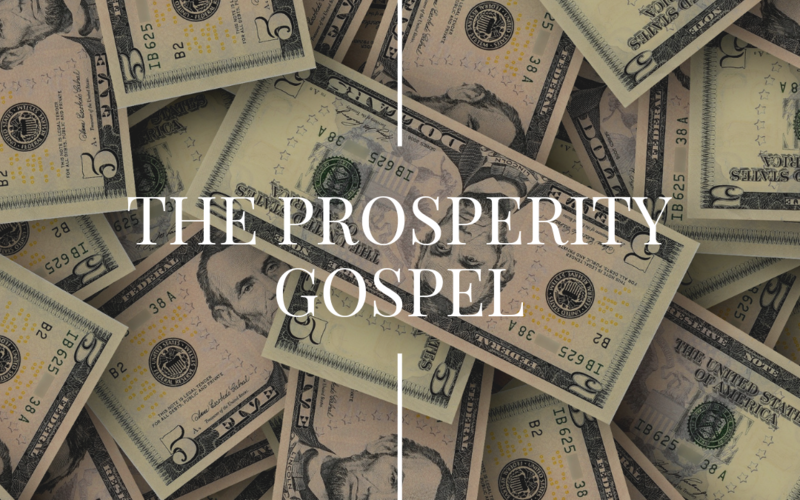 Who founded the prosperity gospel movement? How did Phineus Quimby influence Mary Baker Eddy, founder of the Christian Science religion? Who is E.W. Kenyon and how did he shape our modern blend of New Thought and biblical living? What happens if God doesn’t heal me? The episode also features a number of gospel presentations that are at about 10 words each. Here are some of them, thanks to First Baptist Church of Jackson, WY. Jesus’ resurrection reconciles holy God and sinful people who believe. Faith in Jesus is enough to be forgiven and received. Faith in Jesus is enough to be forgiven and transformed. God’s gift of reconciliation offered to humanity. Christ died so that we might live! God’s righteous wrath shall be averted pleading Christ’s death alone. Choose God’s grace through Jesus or default to God’s punishment. Acceptance of undeserved blessings & atonement for yesterday, today, and forever. Christ’s perfect life, sacrificial death, and glorious resurrection affords opportunity for a positive eternity for all who are willing to accept it. Individuals can have peace with God through Jesus’ atoning death. He died on the cross for my sins even though I constantly fall short.